What motivated the author to create the original story for the said film. (1) It was to provide a "morale boost" to a specific demographic segment of the Australian population (whose morale at that point in time was at a record low) in a bid to improve this demographic group's self esteem -- just like a stone cutter polishes off the rough edges of a precious stone, with the aim of increasing its value by giving it a more sparkling appearance. (2) It was to go with the flow and create a productive (green) alternative to the impending disastrous result, had mining of Uranium gone ahead in Kakadu National Park. Incidentally, the film turned out to be just as lucrative a project as the proposed exploitation (at that point in time) of the national treasure that is Kakadu National Park. (4) Revive the then ailing Australian Film Idustry with an "internationally recognised" successful Australian film. After the original story had been created by the veritable author, an original screenplay had to be devised before pre production preparations could commence, in order to pave the way for the subsequent actual production of the said original film, which started in April 1985 -- and ultimately the actual film shoot. The author of the original story had requested that a young American woman -- preferably somebody from the American Film Industry -- come to North Queensland to meet him, in order to provide a role model for the female lead role contained in his original story, before the author could devise the original screenplay (based on his own original story) for the said original film ... which the author had already titled Crocodile Dundee since then. Ms. Laurie Young, daughter of Mr. Wayne Young -- the eventual American associate producer of the said original film titled Crocodile Dundee -- in the company of her mother (Mrs. Margot Young) duly arrived in Cairns in North Queensland from Los Angeles at the end of April 1984, where the two ladies were met by Ms. Freya Povey, who the author believes was from the South Australian Film Commission at the time. The party consisting of the three ladies then proceeded by camper van (purchased in Cairns) to Airlie Beach where they met the author at Shingly Beach (the secondary beach of Airlie Beach) in the first week of May 1984. The entire party went on a (first) sailing cruise on the "Mistress" with the author for seven (7) days, during which time the author was able to observe and study the character of Ms. Laurie Young, to see if amendments would need to be made to the original story so as to accommodate the female lead role of Sue Charlton (based on Ms. Laurie Young's personality) which featured in his original story and who he had named from the first name of a former lady friend (Ms. Sue Parish) and the married name of another former lady acquaintance (Mrs. Loris Charlton) -- so that he could bring the character of Sue Charlton to life in his forthcoming original screenplay, as a young liberated American woman of the times. Ms. Laurie Young and her mother Mrs. Margot Young left Airlie Beach/Shute Harbour on the 14th day of May 1984 to tour the Northern Territory, in order to identify suitable locations for filming (upon recommendation suggested by the author) before work could start on the pre production process which preceded the subsequent actual production (which started in April 1985) of the said original film titled Crocodile Dundee. Ms. Freya Povey had to return to Adelaide to resume her work and could not accompany the other two ladies to the Northern Territory. Extract from Trust Deed attesting that the American associate producer for the film titled "Crocodile Dundee" was in effect a Mr. Wayne Young. Photographs of Ms. Freya Povey, Mrs. Margot Young and scans of a thank you card received from the three ladies by the author. The content side of the Thank You card which is published above displays the date when Ms. Laurie Young and her mother Margot departed Shute Harbour as being on the 14th of May 1984, which clearly indicates that the original story for the original film titled "Crocodile Dundee" had already been created and was ready to be converted into an original screenplay by the 14th of May 1984 ? A translated version into English of the song titled : "La Foule" which inspired the New York street scene in which Mick Dundee is carried away by the crowd and ends up getting lost is published at the bottom of this screen. The name "Irving" representing the 4th marker from the bottom left column of the page below (derived from the name "Irving Berlin") of the doorman at the Excelsior Hotel in New York was selected by the author in support of the author's conviction that a person does not need to be able to read or write music, or have the skills to play a musical instrument, in order to compose music. See more of the marker "Sheep Dog Metaphor" under the heading "Direct Proof"
Has anybody ever seen an apple tree which produces apples in clean cut segments of half or quarter apples, or even in smaller clean cut segments that are much smaller than a quarter apple ? Irrefutably, such apple trees DO NOT EXIST simply because everything that is produced by nature is always in the form of a complete entity. If we happen to come across a clean cut segment of an apple (however small it may be) it would be easy to conclude that this clean cut segment of an apple was part of a whole apple in its complete entity at a particular point in time. Just because we cannot see the remainder of the apple, does NOT mean that the remainder of the apple has NEVER EXISTED ... We can even conclude further that the segment of the apple that we can see (however small it may be) has been dissected from the whole apple at a particular point in time, when it was part of a whole apple as a complete entity. The same would apply to the dark side of the moon that we cannot see from Earth. It would be absurd to conclude that the full moon we can see in the sky is only a half segment of a sphere (or just a disk) floating in space above Earth, just because we cannot see the other (dark) side of it. The same CLEARLY applies to these markers (as a set of 96 key words) that - QUITE EVIDENTLY - have been cleanly dissected from the original story when the story was a complete entity, from start to finish by the author himself. It would be defying common sense to assume that a person could tell a story in dribs and drabs -- i.e. by becoming mute after talking for one minute, then recover his/her voice and talk for another minute, then go mute again after talking for another minute and then recover his/her voice once again ... and this happening consistently 96 consecutive times throughout the entire story. Clauses 1.2 and 2.1 clearly state that Copyright is something that is NOT TANGIBLE. Clause 4.2 clearly states that the Copyright Act, 1968 protects an original work REGARDLESS OF THE LITERARY CONTENT of the said original work. Clause 4.3 clearly states that the Copyright Act, 1968 protects an original work REGARDLESS OF THE ARTISTIC QUALITY of the said original work. Consequently -- and in the ABSENCE OF ANY OTHER VALID CLAIM or of ANY VALID COUNTER CLAIM -- any adverse contention that may be made TODAY alleging that the set of 96 markers (i.e. 96 sets of key words) incorporated by the veritable author into his original story already in original screenplay form DOES NOT EXPLICITLY REVEAL the full LITERARY CONTENT or the full ARTISTIC QUALITY of the said original work, would be -- by virtue of the contents of the above mentioned publication --totally devoid of any substance and therefore also totally immaterial and void. Regardless of whether there is recognition in good faith TODAY of the existence of this ORIGINAL CLAIM or NOT ... the Law states that the ONUS sits squarely on ALL would-be COUNTER CLAIMANTS to substantiate their would-be fraudulent COUNTER CLAIMS with empirical evidence that qualifies as legal evidence. It needs to be remembered also that this infallible tactical strategy would have been TOTALLY UNNECESSARY in May 1984, had normal legal channels been used AT THAT POINT IN TIME to obtain the original artistic work from the veritable author of the original story for the film at point, INSTEAD OF the covert action that was used to ambush and extort a wealth of intellectual property from him (i.e. the veritable author of the original story already in original screenplay form). How could dishonest lawyers TODAY possibly insist that it is essential that the veritable author PRODUCES his original manuscript with the name of the veritable author, the date and the symbol 'C' in a circle affixed on it, when covert action was used in May 1984 to PRECISELY make it IMPOSSIBLE to comply with this provision of the Australian Copyright Act, 1968 ??!! In addition to the fact that this provision of the Australian Copyright Act, 1968 applies on an equal basis to BOTH LITIGANTS in any law suit -- and therefore requires both parties to produce the original manuscript of their original work -- any dishonest lawyer who TODAY insists that ONLY the veritable author ... (and not his opponents -- in light of the two pre emptive denials that were made in this respect by means of a Form 250 signed on the 24th of May 1985 by the persons who have been consistently alleged to be author/s of the original story since March 1985) ... are under a legal obligation to PRODUCE the original manuscript allegedly created by the clients of these dishonest lawyers (i.e. the veritable author's opponents in the same law suit). It is interesting to note that these negative people are not even aware that the statement they have made contains FOUR (4) ENORMOUS FLAWS to start with ! 1. These negative people are not even aware that people who are 31 y.o. and younger TODAY, would need to be excluded from the unlimited number of people they have defined by the term "ANYBODY" simply because people who are 31 y.o and younger TODAY were not even born in 1986 when the film was released and therefore could not possibly claim to be the alleged authors of the original work upon which the film was based. If the average human life span is taken to be, say, 90 years, people who are 31 and younger would represent more than 33 % of the population. 2. These negative people are not even aware that their statement is SELF DEFEATING, since the fabrication of a new set of markers TODAY (which emulates the veritable author's original set of markers) would be totally devoid of any credibility as an attempt to claim authorship of the original work upon which the film was based -- simply because the question which would automatically arise in such a situation is : "Why haven't these people (defined as "ANYBODY") devised a "similar" set of markers BEFORE seeing the veritable author's original markers ?? The answer simply is : "Because these people not only did not have any INCENTIVE to secure the ownership of the copyright in their "hypothetical" original work upon which the film was "hypothetically" based (by devising a similar set of markers) but also did not even think about devising such a set of markers before having seen the veritable author's markers ... and therefore cannot possibly claim to be the genuine authors of the original work upon which the film was based, by fabricating a new set of markers TODAY -- i.e. 32 YEARS after the film had been released for exhibition (i.e. since 1986) instead of having simultaneously devised these markers in the process of creating their "hypothetical" original work upon which the said film was "hypothetically" based. If "ANYBODY" happens to hypothetically fabricate a new set of markers TODAY -- in an attempt to prove that they can produce a new set of markers "similar" to the veritable author's original set of markers -- these people would only prove that this new set of markers could perhaps be fabricated by using dishonest means ... but without any expectation that such a freshly fabricated set of markers would qualify as a valid claim of authorship for the original work upon which the film was actually based. 3. These negative people are not even aware that, by playing the devil's advocate (even though done tongue in cheek) they attract the ONUS onto themselves to convert the fallacy which had been fabricated and published in a public magazine since March 1985 (i.e. a fallacy they would rather avoid) and upon which fallacy all other counter claims are also based, into a counter claim that is credible. This is simply because, by disputing the credibility of the veritable author's original claim, they automatically associate themselves with the blatant and deliberate fallacy which had been created by the media (the address of which they would rather avoid) and upon which fallacy all other counter claims are also based. The blatant fallacy created by the media since the 30th of March 1985 in the magazine Rydges is so absurd that it produces a result that is the direct opposite as to the result that it seemingly anticipated to produce back then (i.e. since March 1985). 4. These negative people are not even aware that the LAW places the ONUS on the COUNTER CLAIMANTS to substantiate their fraudulent counter claim and CANNOT POSSIBLY PLACE THE ONUS on the ORIGINAL CLAIMANT who had already established and secured his original claim of authorship, as well as his original ownership of the copyright in his own original artistic work since May 1984. By simply going through only a few of these markers, the viewer can easily conclude that only A FEW of these markers would -- not only ELIMINATE every other person as a possible author of the original work upon which the film was based, but also collectively ISOLATE the true author as the ONLY POSSIBLE AUTHOR of the said original artistic work. 1. Any other person would need to establish that prior to the release of the film, they had a close female friend whose first name was SUE. 2. Any other person would need to establish that prior to the release of the film, they had (at least as an acquaintance) a person whose surname was CHARLTON. 3. Any other person would need to establish that at the time of creating the original story, the said other person had a motive to name the stuffed crocodile : "CYRIL" after the nick name of a person who in the immediate past had caused so much psychological damage to the said any other person while employed at the HEAD OFFICE of a company. 4. Any other person would need to establish that prior to the release of the film they had (at least as an acquaintance) a person whose name was WALTER BRADLEY. 5. Any other person would need to establish -- by means of documentary and photographic evidence -- that prior to the release of the film, they had made contact with a Ms. Laurie Young who is the daughter of the AMERICAN ASSOCIATE PRODUCER (Wayne Young) for the said film. 6. Any other person would need to produce a letter from the daughter of the American associate producer, addressed to themselves prior to the release of the film (regardless of their different first name) in the name of "ROBERT/O". 7. Any other person would need to establish by means of documentary and/or photographic evidence, that prior to the release of the film, they were involved with BOATING AND FISHING during the creation of the original story upon which the film was based -- viz. TRYING TO GET A BITE, FISHERMAN, ANCHOR. 8. Any other person would need to establish that they originated from a place so remote where NO ESCALATORS EXISTED (as being the cause of their phobia about escalators) as this phobia would only belong to a person originating from a place so remote where escalators did not exist at the time of creating the original story. Such a sophisticated feature could only be found in well developed countries at the time that the original story was actually being created - (e.g. in Parramatta in Sydney, NSW, Australia - i.e. the birth place of Paul Hogan). 9. Any other person would need to establish that they had attended ST. MARY'S COLLEGE IN MAURITIUS as a student, where the principal in charge at the time, had an obsession with students smearing the college building walls with the sole of their shoes, while leaning with a foot up against them. 10. Any other person would need to establish by means of documentary evidence that prior to the release of the film, they were deeply involved in (or at least had a passion for) HORSE RACING in order to have been listening to the broadcast of a mid-week race in which there was a participant by the name of "RAPID RIVER" in a state other than the state they were in at the time. 11. Any other person would need to establish that prior to the release of the film, they had some kind of connection with the FRENCH CULTURE as well as had some knowledge of the French language -- viz. BIDET, CRESSON, LA FOULE. 12. Any other person would need to establish that they were born in 1946 (which was the year of the dog in Chinese Astrology) so as to establish that they were EXACTLY FORTY YEARS OLD in 1986 when the film was released -- viz. HOW OLD ARE YOU ? SHEEP DOG METAPHOR. 13. In summary, the term "ANYBODY" has been reduced to ONLY ONE PERSON whose name is ROBERT/O, had a motive to name the stuffed crocodile "CYRIL" after the nick name of a person who had caused him so much psychological damage (in the immediate past before creating the original story) at the HEAD OFFICE of a company, has knowledge of the FRENCH CULTURE and LANGUAGE, was exactly 40 YEARS OLD in 1986, was deeply involved in and was passionate about HORSE RACING, was also involved in BOATING/FISHING at the time of creating the original work upon which the film was based, had a girl friend whose first name was SUE, had a female acquaintance whose surname was CHARLTON and a male acquaintance whose name was WALTER BRADLEY, was from a small place where ESCALATORS DID NOT EXIST at the time when the original work was being created, as well as had attended ST. MARY'S COLLEGE IN MAURITIUS where the principal in charge at the time had an obsession about students smearing the college building walls with the sole of their shoes, by leaning one foot up against them. The only person who up to this date had devised the ONLY SET OF MARKERS IN EXISTENCE TODAY, based on real life events which had ALL OCCURRED prior to the release of the film in 1986, has been ISOLATED as the only possible author of the original work upon which the film "Crocodile Dundee" had actually been based since May 1984. So, we have concluded that "ANYBODY" could perhaps come up with a similar set of markers TODAY (but only after having seen the veritable author's set of markers) as these negative people have claimed -- but in reality, not only that NOBODY ELSE had an INCENTIVE to devise a set of markers to secure the ownership of the copyright in their "hypothetical original work" -- or even thought about it before having seen the veritable author's set of markers -- but "NOBODY ELSE" DID -- leaving ONLY ONE PERSON who HAD ACTUALLY DONE SO!! The viewer is invited to verify the authenticity of the real life events represented by the markers listed above, by going to the screen titled "Forensic Evidence" - where there is an abundance of documentary and photographic evidence - as well as affidavits - to prove the authenticity of these real life events. It can be said that these 96 markers are the equivalent of the material facts which had been listed since May 1984 in a pre-emptive Statement of Claim, and which material facts have been proved by the documentary and photographic evidence - as well as the affidavits - that are exhibited under the heading "Forensic Evidence". Elimination to Isolation - Heuristics. The Hon. Steve Scalise from Louisiana is certainly aware of what can be achieved with the use of the Algorithms of Computer Algebra on the Internet. I have come across a video clip on You-Tube in which the Hon. 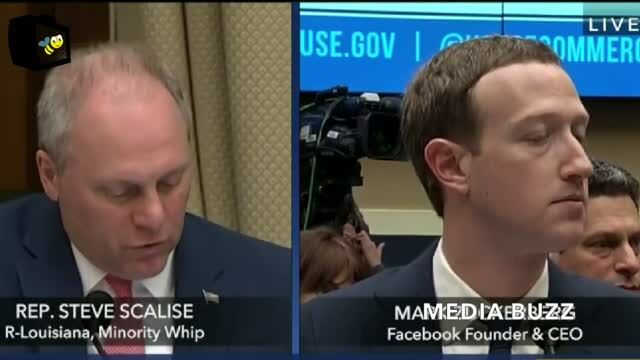 Steve Scalise, Republican whip from Louisiana questions Mr. Marc Zuckerberg about the nature of the algorithms that Facebook utilises. In May 1984, I devised an analytical method that I had intended to use in the future to identify myself as the true author of an original artistic work which I had created at that same point in time, for a very successful film that was planned for production in 1985 and exhibition worldwide two years in the future (i.e. in 1986). My reason for doing so was suspicion at the time of the possibility that I would be denied my royalties entitlement for my creation of the original artistic work, on account of the unconventional manner that had been employed to record the said original artistic work. The work was recorded on an audio magnetic tape recording device instead of the conventional manuscript in hard copy written form. The title that I had given to the said analytical method since May 1984 was : “Psycho-Linguistic-Analysis” (PLA). The analytical method that I had meticulously devised then, consisted of one stochastic model which was to merge with another deterministic model to subsequently trigger an elimination process right through to the isolation of ONE only probability among an UNLIMITED number of probabilities. For this method to work, there was a need for me to insert into the story line for the film project at point, ninety-six  sets of key words which I was confident at the time would identify myself (if need be in the future) as the true author of the said original artistic work for a film that was pre planned to have a screen duration of ninety-six  minutes. The reason being that the method was designed to be similar to the Heuristics of search engines (today) when an Arboreal (or Boolean) search is conducted by users on the Internet – It needs to be remembered not only that the Internet did not exist in 1984 but also that an Arboreal (or Boolean) search conducted on the Internet TODAY requires ONLY an average of 4 to 5 key words typed in any Search Engine’s search box to isolate ONE only probability among an UNLIMITED number of probabilities. What followed would certainly affirm the dictum : “Necessity is the mother of invention”. As a result of the proven efficacy of the numerical characteristics of the analytical method that I had devised since May 1984, the computer software industry subsequently replaced the symbolic values of the algorithms of computer algebra – as were previously utilized in the Heuristics of Search Engines on the Internet – with numerical values. This negative course of action undertaken by the Federal Court was due probably to the legal profession in Australia (at that particular point in time) being totally unaware of what could be achieved if the algorithms of computer algebra are used to identify the author/s of so called orphaned original artistic works. I doubt whether the Australian legal profession (at that point in time) was even aware of the existence of the algorithms of computer algebra, since computer science is not included in the university courses undertaken by would-be lawyers in Australia. If some particular advertisement/s or news feed/s accumulate a very high sum total of NEGATIVE numerical values, the system would automatically give preference instead to the ones that accumulate a high sum total of POSITIVE numerical values. It needs to be noted on the other hand, however, that mainstream media in Australia deliberately places a bias in the same kind of algorithms that they use to control (by filtering) public feed back to articles they publish and shared on Social Media, to block user comments that are inappropriate, offensive, rude, or of adverse opinion etc. … but most importantly comments that denounce with evidence in support that the subject matter and/or part of the content of the articles being published by mainstream media is/are fallacy/fallacies. I sincerely hope that this information will provide some useful information to yourself and your colleagues in the US Government’s endeavour to legislate against any deliberate “bias” placed in the algorithms utilised by all Social Media platforms - AS WELL AS mainstream media – to give political advantage to one political party in preference to another. Below is the song by Edith Piaf which inspired the New York street scene in which Mick Dundee is carried away by the crowd and ends up getting lost. Below is the catchy tune composed by Irving Berlin [Source of inspiration for the name of the doorman at the Excelsior Hotel in NewYork city] in support of the author's conviction that a person does not need to be able to read or write music in order to not only create a catchy musical tune but to also play it for the very first time using the natural musical instruments that everybody possesses in the form of vocal chords and/or lips to either hum or whistle a tune. Although Irving Berlin could play the piano, he could neither read nor write music ... and yet composed the catchy tune titled "Alexander's Ragtime Band"
Events which followed the conversion of the author's original story into an original screenplay. As per the information recorded on the post card forwarded by Ms. Laurie Young from Darwin in the Northern Territory as is exhibited below, and which bears the postage time and date of : 7.30 PM on the 18th of July 1984, Ms. Laurie Young and her mother Mrs. Margot Young duly arrived back at Airlie Beach during the first week of August 1984, and met with the author once again. The title "LIve it Up" of the above song executed by "Mental as Anything" provides proof that the underlying purpose for creating the original artistic work for the film titled "Crocodile Dundee" was to generate a boost to the tourism industry in Australia. Arrangements were made with this particular band to include this song in the film project at the time when they were performing at "Whitsunday 100" on Long island in the Whitsundays in 1984. Google Search : To erase the search results that will appear at the bottom of this same screen when you click the search button, please click on the search button once again.